•Rugged, Lightweight Forged Aluminum Construction. •Triple-Locking Gate for Added Safety and Security. 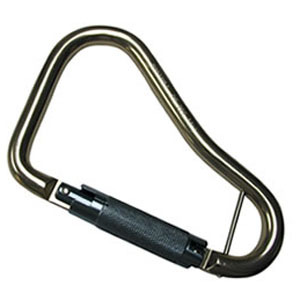 •Includes Optional Pin for Captive-Eye Applications. •2-1/8” Gate Opening Allows for a Broad Range of Connections. •Rated at over 5,000 lbs.